This post is off my traditional “Facebook & online lead capture training” focus. However, it’s something that is important to remember and keep at the front of your mind while building your business, especially when it comes to lead generating. 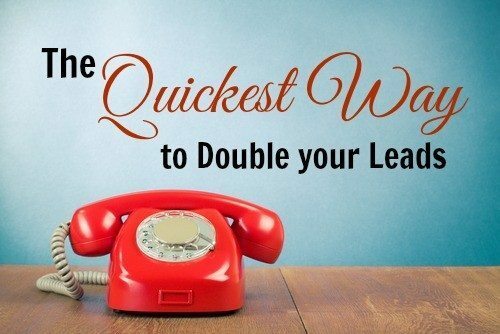 Your business is built on the leads you generate. The “flavor” of your business — how much you love your business — is directly related to the clients you choose to work with. And yes, YOU get to choose. I recently had a situation where someone contacted me on a Sunday afternoon and requested my response ASAP (yes, this someone said ASAP). It rubbed me the wrong way — after all, it was in the middle of the afternoon on a Sunday, and our services are very clearly laid out on our website. However, I took a deep breath and just went ahead and replied about an hour after his initial inquiry (I figured it was just my mood at the time) giving him two different days/times early in that same week (he did say ASAP) we could connect via phone. After two days of not hearing from him (now it’s Tuesday), I sent another response (just in case the original didn’t go through). I let him know one of those days/times was no longer available, but if he wanted to connect on the second one, I needed to hear by the end of the day. When he did respond (late Tuesday), he gave me two different days that would work for him. So I responded with times for those days. I responded daily for three days. After my constant responses to him and his nearly nonresponses to me, I realized I was completely compromising my values. I was crossing my boundaries. I was frustrated. I was allowing this to happen and allowing it to frustrate me. My business is not founded on sales calls, cold calls or on trying to “get the sale.” My business is founded on solving a problem and fulfilling a need. I focus completely on the concept that if someone needs and wants our services, he’ll hire us. I am not going to pursue him. I also had to remind myself that if someone is unwilling to respect me and unwilling to respect my time, but willing to demand immediate action and response and then doesn’t have the courtesy to comply in kind, he is definitely not someone I’m willing to work with. I do not care if he is a potential “lost sale.” I just don’t. I want to work with people who want to work with me, not people I have to doggedly pursue. I want to enjoy my clients. That is always my underlying focus: “Will I enjoy working with this person?” It’s that simple. I refuse to even attempt to try to be all things to all people. Do you ever feel like you have to be all things to all people? Guess what? Ignore everyone. Ignore all of this “you must” advice. First of all, this is your business. This is your life. No one else’s. Isn’t that why you are in business for yourself? This is your business. This is your life. Run it your way. Seriously. If you don’t ever want to work past 7 p.m. on weeknights, don’t. Set your schedule. Set your boundaries. Stick to them. Be firm about it. If you want two days off every week, TAKE THEM. Don’t compromise. Don’t doubt. This is your life. Your business means nothing if you don’t have a life. Don’t fall into the trap that “excellent customer service” means being all things to all people. It’s a lie. A big falsehood. Don’t believe someone else’s idea that “raising the bar” means doing things a “certain way.” It doesn’t. Those are their ideas and opinions. Since your business is not their business, ignore them! Don’t try to tell me that “this is real estate, you wouldn’t understand.” You’ll quickly find yourself losing the battle. I built a real estate team, on my schedule, shaped around my life, not someone else’s. My boundaries, not my prospect’s. My ideals, not someone else’s. Heck, we took our real estate business on the road — traveled full time in my RV with my family, while working our real estate business remotely. You set your boundaries. You shape your business. Stop letting doubt rule you. Stop letting your peers rule you. Stop worrying about losing potential business. You’ll lose more business while you are trying so hard not to lose business (wrap your brain around that statement). Provide excellent customer/client service, but don’t compromise your boundaries. Compromising your boundaries does NOT provide “better” customer service. It’s just compromising your boundaries.